Die Universität Duisburg-Essen (UDE) ist eine vom Land Nordrhein-Westfalen getragene, rechtsfähige Körperschaft des öffentlichen Rechts. Sie trägt den Namen Universität Duisburg-Essen und führt diesen Namen in ihrem Logo. (USt-IdNr.) DE 811 272 995 und die Steuernummer 111/5734/0015. This web site contains links to material protected by copyright, trademark, and other proprietary rights and laws. By using sCO2-HeRo.eu, you acknowledge that the content and information, including but not limited to text, sound, photographs, video, graphics or other material, contained in this web site, may be protected by copyrights, trademarks, service marks, patents or other proprietary rights and laws. Material and/or links on this web site do not constitute legal advice, political advice, and/or other advice. Additionally, while we strive for accuracy, we make no guarantees, warranties and/or other representations about the suitability, reliability, availability, timeliness, or accuracy of this web site for any purpose. The web pages and information contained here are provided “as is” without warranty of any kind. We also make no guarantees, warranties and/or other representations concerning any sites “linked” to and from sCO2-HeRo.eu or concerning the content or quality of information on other sites. Sites linked to and from sCO2-HeRo.eu are not under the control of sCO2-HeRo.eu and we are not responsible for the contents of any linked site or any link contained in a linked site, or any changes or updates to such sites. Permission is granted to use materials contained on this web site, in part or in full, for personal and educational purposes, but not commercial purposes, provided that you keep all copyright and other proprietary notices intact and provided that full credit is given to sCO2-HeRo.eu and the respective copyright, trademark, or other proprietary rights holder. You may not modify, copy, reproduce, republish, upload, post, transmit, or distribute in any way content available through this web site, with the exception of public documents such as treaties and conventions. sCO2-HeRo.eu does not represent or warrant that this web site will be uninterrupted or error-free, that defects will be corrected, or that the web pages or the server that makes it available, are free of viruses or other harmful components. Changes and/or improvements may be made to this web site at any time. The installation at GfS is nearly finished! 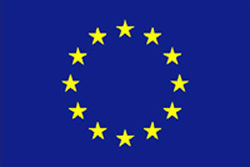 The sCO2-HeRo project is a Research and Innovation project funded by the Horizon 2020 Framework Programme of the European Commission under Grant Agreement No. 662116.